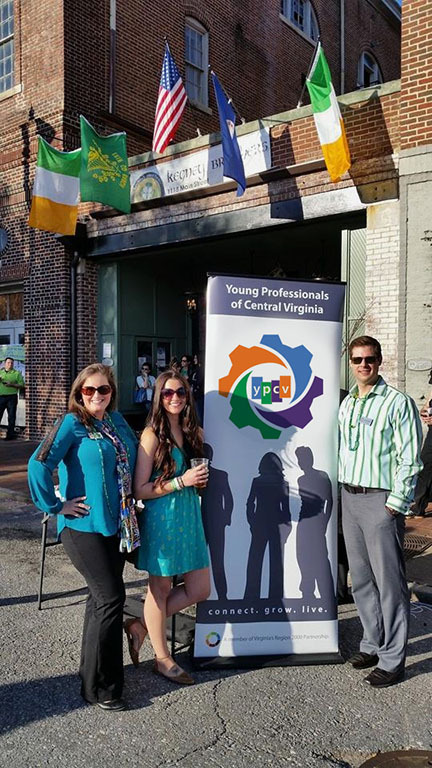 Young Professionals of Central Virginia (YPCV), a partner of the Lynchburg Regional Business Alliance, is dedicated to cultivating a young, vibrant, professional community that develops business and community leaders. While YPCV hosts social and networking events for young professionals such as “5:35 Connect,” a main emphasis this year is providing professional development opportunities. “The YPCV produced a survey in September of 2017 that found young professionals in our region were most interested in professional development opportunities,” said Jamie Glass, deputy director of economic development at the Alliance, who provides staff support to YPCV. “Based on this data, we decided to focus on providing valuable yet affordable opportunities for our young professionals,” she added.